My wife and I rolled into a local Brooklyn restaurant (no reservation) and put our name on the waiting list. We ordered drinks at the bar, and our server asked us where we were from. I looked at her quizzically, and then it struck me ... we were Bridge & Tunnel! I remember using this term derisively (immature and biased) to describe people coming into Manhattan mostly on Friday and Saturday nights from Long Island and New Jersey. However, here I was in at a hip, local spot in Greenpoint and the server was looking (down) upon me, a Manhattanite! The world has changed: Brooklyn is the epicenter of cool (expensive and exclusive) causing me, I guess, to have an inferiority complex. In this week's Loupe, I will help you deal with and combat your newfound inferiority! If you are going to less familiar areas (Brooklyn? ), you have to know where to go and what dishes to order. Chef's Feed is the answer as its tagline is "eat like a chef on their one precious day off." The presumption is that chefs are professional cooks and recognize great food when they eat it. Chefs Feed enlisted the help of some of the most venerable chefs in the city to find the very best restaurants. Their writers include April Bloomfield of the Spotted Pig, Daniel Humm of Eleven Madison Park, and many more. This app and website have plenty of articles about great restaurants and food, which will help you choose wisely your next night out. This app is especially helpful now that Dine app has closed and Zagat app is getting wonky. You will look and feel like an Insider with your newfound info! It seems that the hip crowd is all about experiences. Sure they still like their products, but experiences (and photos) are prime. Additionally, there is something about getting there in style on the cheap, maybe even free. Before you call your travel agent, you might consider utilizing your travel rewards (Frequent flyer miles, hotel points, and credit card awards) that are sitting around collecting dust. 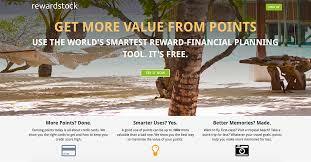 RewardStock helps you navigate the opaque world of travel rewards so that you may redeem this accumulated points and travel for very little. Founded by Jon Hayes who learned the wonders of reward travel and quit his Wall Street job to pursue the dream of helping others travel exotically on the cheap. This is a great solution for us poor Manhattan folk! There is nothing more Brooklyn then rolling into and around Brooklyn on a bike. What better way to try to fit in than wearing a stylish bicycle helmet implying, "I care about the environment, and therefore I care about you!" Park & Diamond is a new company that started the most successful bike helmet campaign on Indiegogo and plan to deliver their first order in the Spring ... just in time for getting back on the bike again. I have met management and seen the prototype, and it is pretty cool. This helmet is engineered from high tech materials in a novel way; it protects the noggin well (life-saving? ), is collapsible (convenient! ), and looks great (stylish!). The helmet is easily cleanable, and they are currently developing stylish skins that may be removed and replaced. In this helmet, no one will suspect you are not from Brooklyn! If you are going to represent Manhattan when you travel to outer boroughs (or anywhere for that matter) you need to do so with style. That is why you need a custom suede tracksuit. This way when you walk into the bar or restaurant others will automatically know where you are from and that you mean business. Those hipsters have nothing on you when you sport this magnificent retro look. The company describes the look as "the tuxedo of sweatsuits" where "anything (and everything) is possible." You just never know until you try one on. Sweatsedo will customize the suits for your whole family or friend group. They are also perfect for lounging around the house and not seeing anyone! Cast your fears and inferiority complex aside with one twinning outfit. Anyone remember airports filled with families wearing Ellesse sweatsuits, or more recently Juicy velour sweatsuits, now customize away with Sweatsedo. It's so dorky, it just may be cool! The first step to recovery is admitting that you have a problem. Repeat after me... "I am Bridge & Tunnel!" and consider Chef's Feed, RewardStock, Park & Diamond and Sweatsedo Found!